Thank you for this review. I have seen the previews and thought it would be good. Can't wait to see it. Annie, now that I have seen most of those Oscar contenders, I can safely say that this is the best movie of the year. 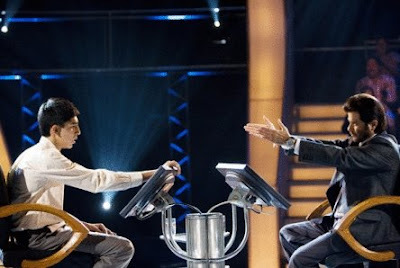 I mean FROST/NIXON may be a great flick, but SLUMDOG is special. I'm just now reading this. You have a great blog and I really enjoy reading this. I do have to nick pick (sp?) though...they children aren't muslims, they are Indian, and I believe also Hindu then. It's kind of a major difference since the movie is set in India. Like I said, I just had to make sure that was clear. I really do enjoy all of your blog posts though. I am a new fan of 24 and just finished the 7th season yesterday. Thanks for your comments- I really appreciate your kind words. Welcome to the blog and I hope to hear from you again in the future.